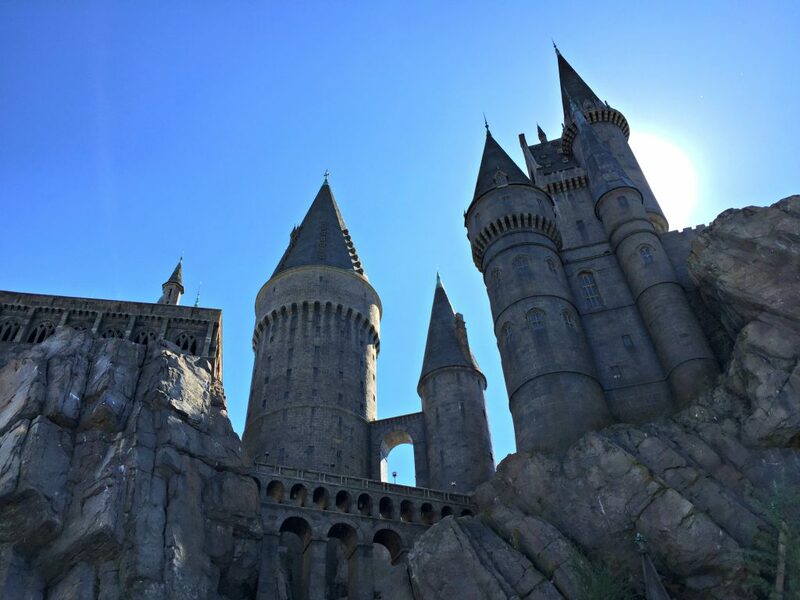 If you are a fan of Harry Potter, you will be blown away by the Wizarding World of Harry Potter at Universal Studios Orlando Resorts. It is like stepping into the pages of the books and walking into a scene from the movies. 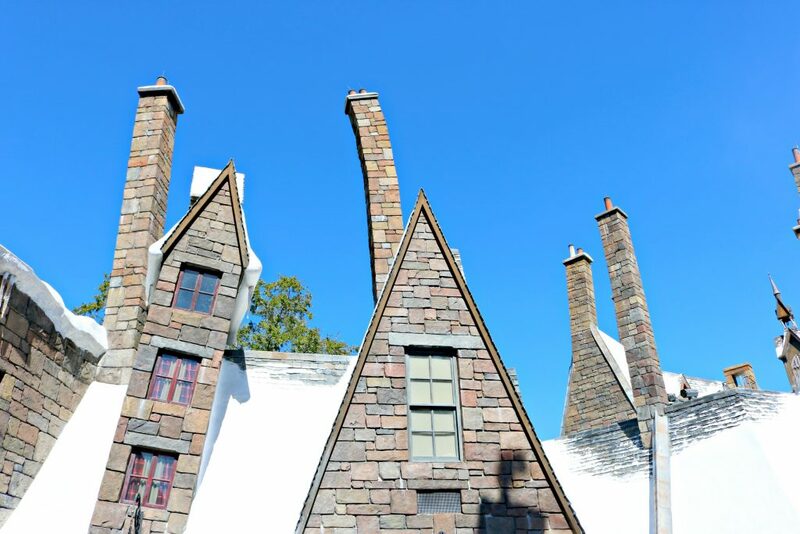 Whether you are a wizard or a muggle, you need to find your way to the amazing experiences that Universal Studios has to offer the Potter fan in you. Universal Orlando consists of two parks: Universal Studios and Islands of Adventure. If you’ve been following along, you would have read my tips to help you see both parks in one day and what you can experience at CityWalk. 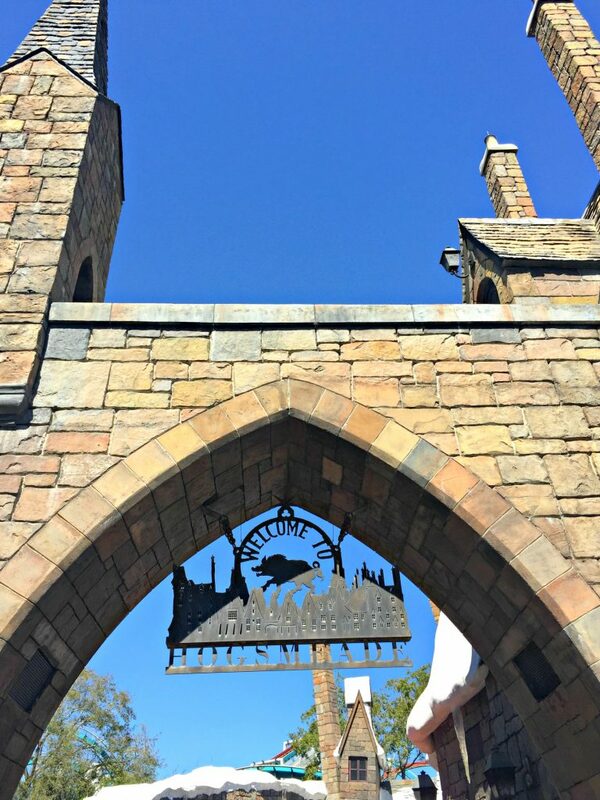 Read on to see what the Wizarding World of Harry Potter has in store for you! The Wizarding World of Harry Potter is divided between the two parks. 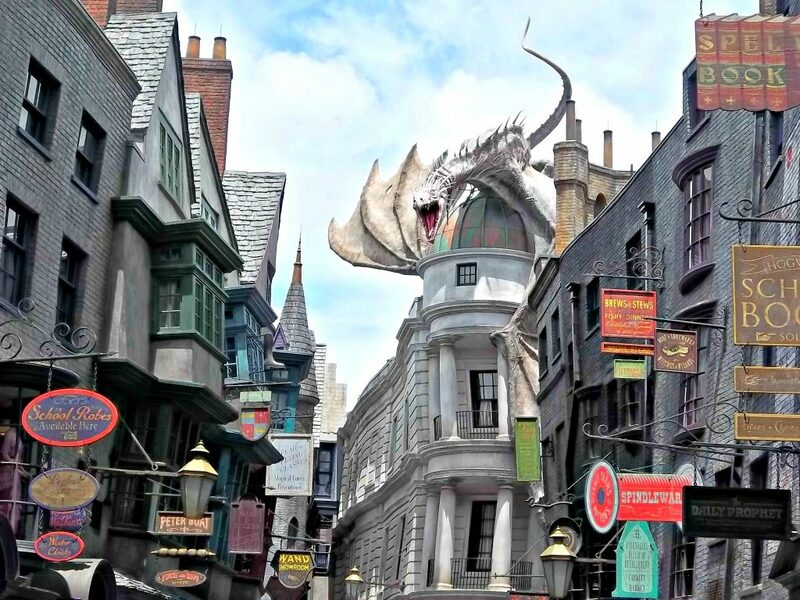 Diagon Alley is situated in Universal Studios and Hogsmeade is located in Islands of Adventure. You can travel between the two parks aboard the Hogwarts Express ride. Yes, the actual Hogwarts Express. Has your mind exploded yet? 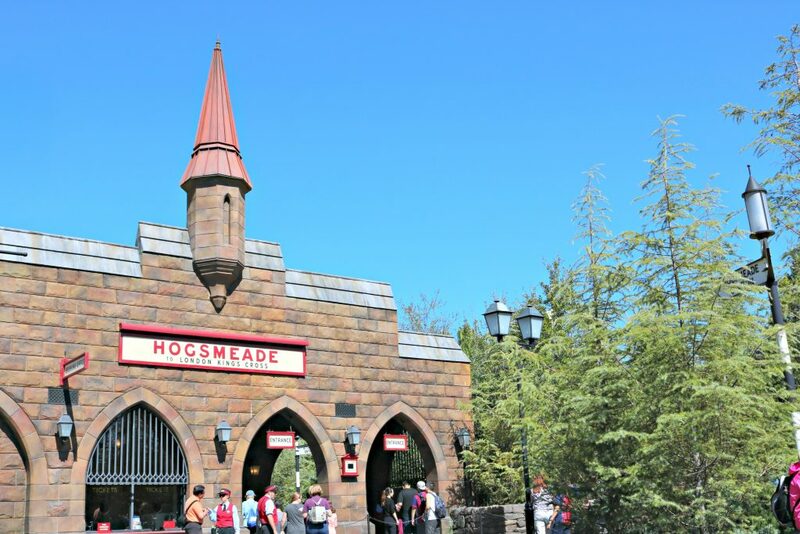 Stepping into Hogsmeade and Diagon Alley is the most immersed fantasy experiences for kids. 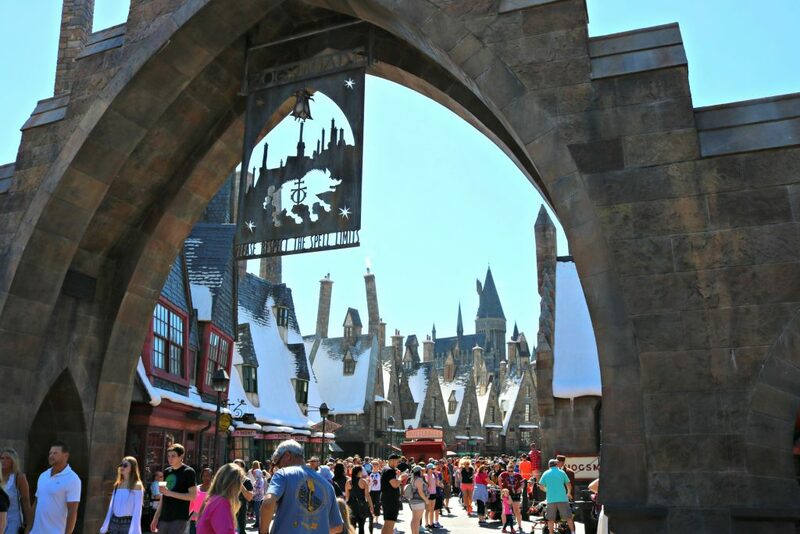 You could totally spend the entire day at The Wizarding World of Harry Potter since there is so much you can do. 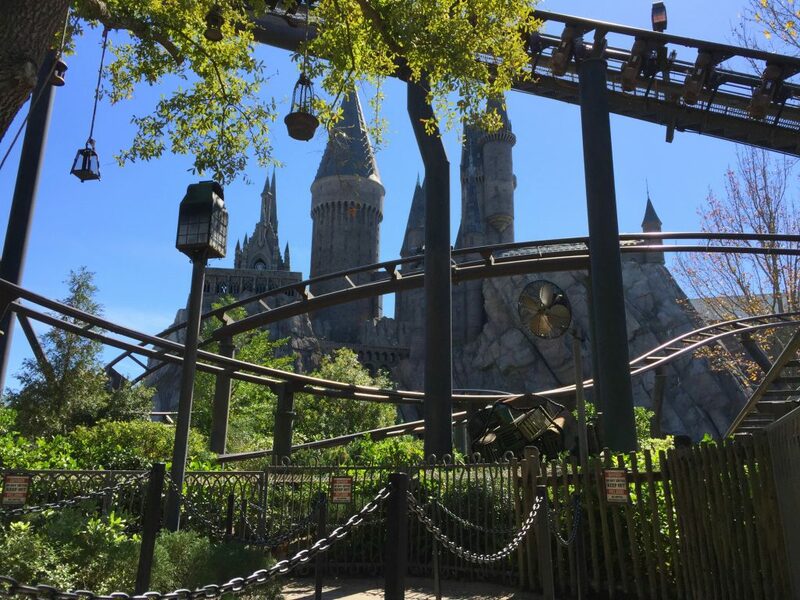 As aforementioned, it can be experienced in both parks with Hogsmeade in Universal’s Islands of Adventure and Diagon Alley in Universal Studios and Orlando, Florida. 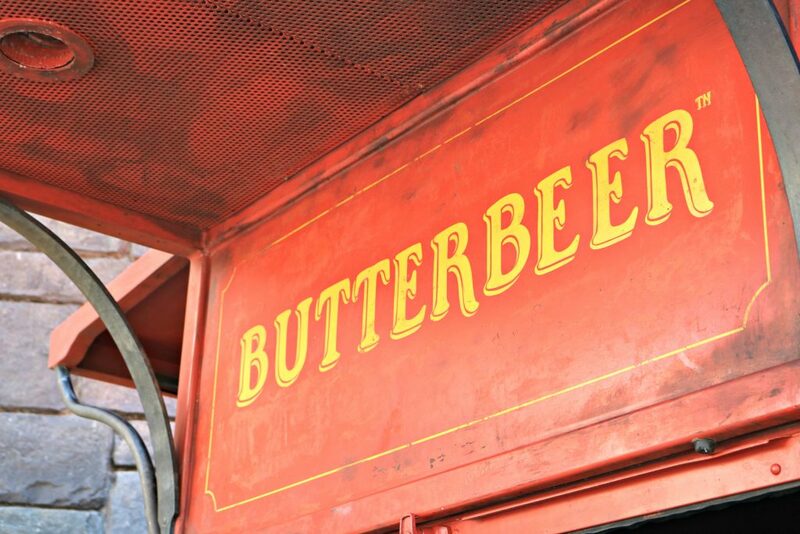 If your kids are major Potterheads, well, you’re going to want to make time to spend here. 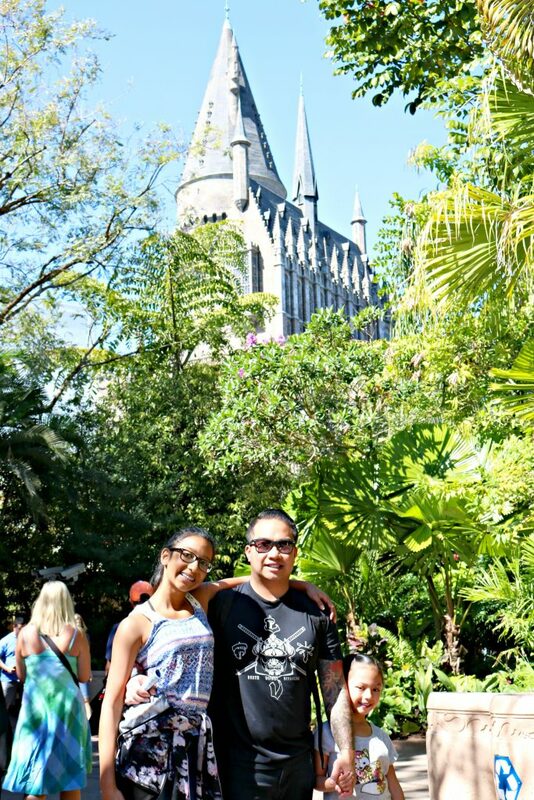 We walked through the Islands of Adventure and arrived at Hogsmeade. Before we passed through the arch of the entrance, we were blown away by seeing Hogwarts peeking through the trees. I think we all squealed a bit. 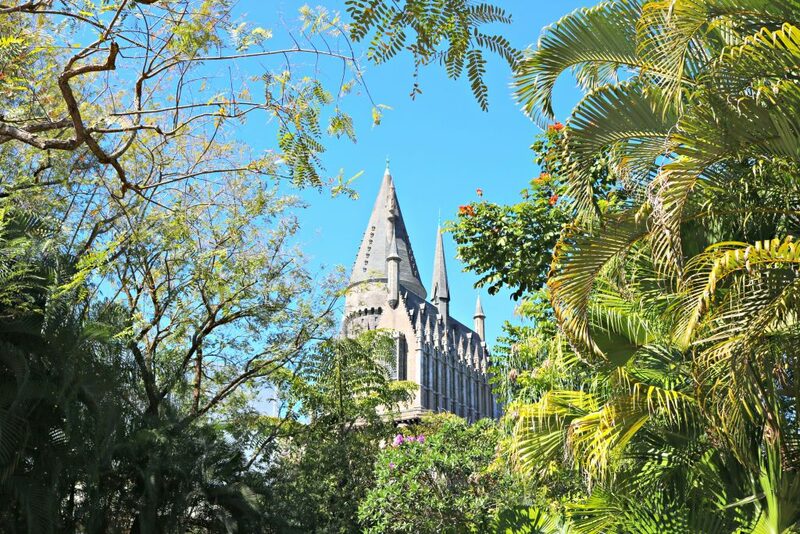 You can hear the normal chatter of a busy park but, in the distance, you can hear the familiar music of the Frog Choir from the wizarding world that you’ve only heard on the big screen. You can dine at the Three Broomsticks, swoop past Hagrid’s hut on the flight of the Hippogriff, and shop for sweets at Honeydukes. 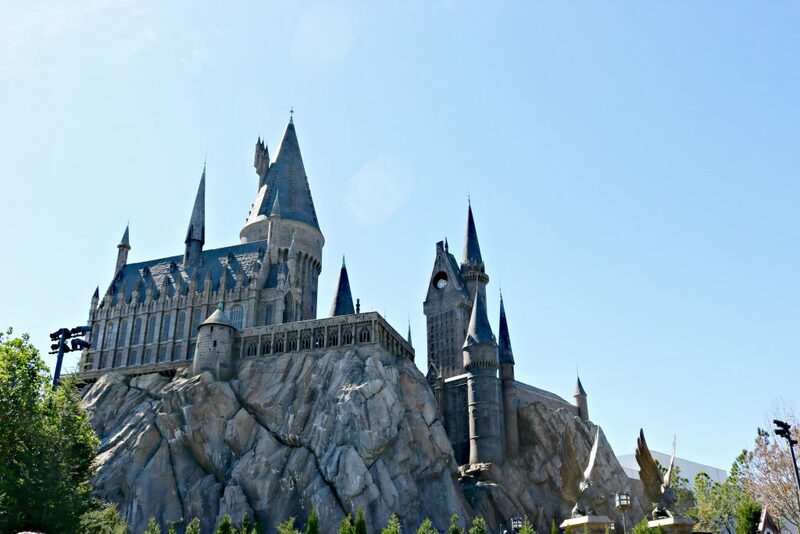 Then, discover the mysteries of Hogwarts as you wander through the classrooms and corridors, and soar above the castle with Harry Potter on the groundbreaking ride, Harry Potter and the Forbidden Journey. 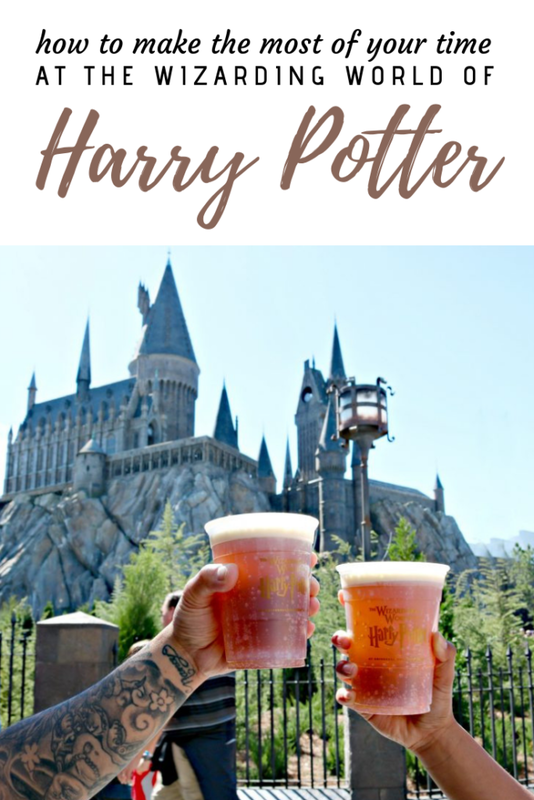 One of the things that we wanted to do when we planned our visit to Universal Studios Orlando was to try the ambrosial treat that is butterbeer. Naturally, it was the first thing we did when we entered Hogsmeade. We preferred to get it nice and cold and let me tell you, it was INCREDIBLE. 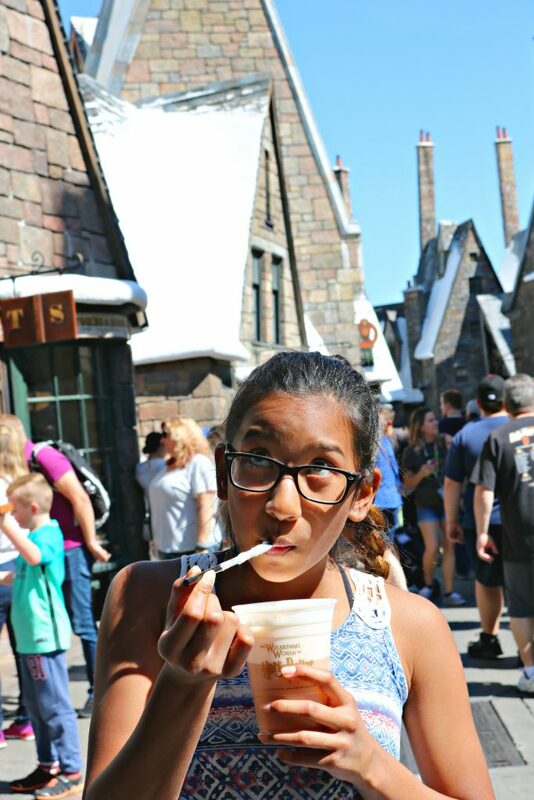 You can get butterbeer cold, frozen or hot and I can guarantee that you’ll love it in any form! As you can see, the girls loved it and it was an experience that they only ever imagined. Three Broomsticks: This rustic tavern is the place to go in Hogsmeade for good food, friendly conversation, and a Butterbeer. Take a seat and have your fill of tasty British fare including the ‘Great Feast Platter’, Fish And Chips, Shepherd’s Pie, Cornish Pasties, Turkey Legs, and Fresh Vegetables. 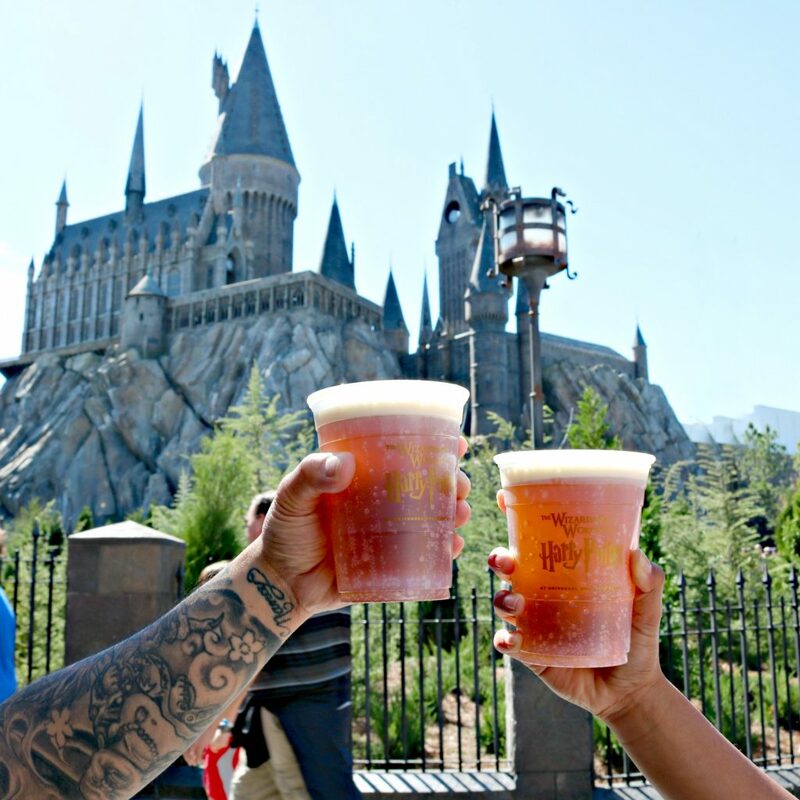 Hog’s Head: Located in the back of Three Broomsticks in Hogsmeade, this is the place to stop in for a Butterbeer and Pumpkin Juice, along with domestic and imported beers, specialty drinks, wine, spirits, and mixed drinks. The Leaky Cauldron: It is a small, grubby-looking pub and inn. In Harry Potter and the Prisoner of Azkaban, Harry stayed there for several weeks over the summer before heading off to Hogwarts for his third year. Once inside, you’ll find yourself under a cathedral ceiling with views towards the guest rooms in the inn. Menu items include Bangers and Mash, Fisherman’s Pie, Toad in the Hole, Ploughman’s Platter, and more, plus a Kid’s Menu offering Fish And Chips, Macaroni Cheese, and Cottage Mini Pie. Florean Fortescue’s Ice-Cream Parlour: In Harry Potter and the Prisoner of Azkaban, Harry enjoyed numerous ice-cream sundaes here, compliments of Florean Fortescue himself, as he worked on his homework one summer. 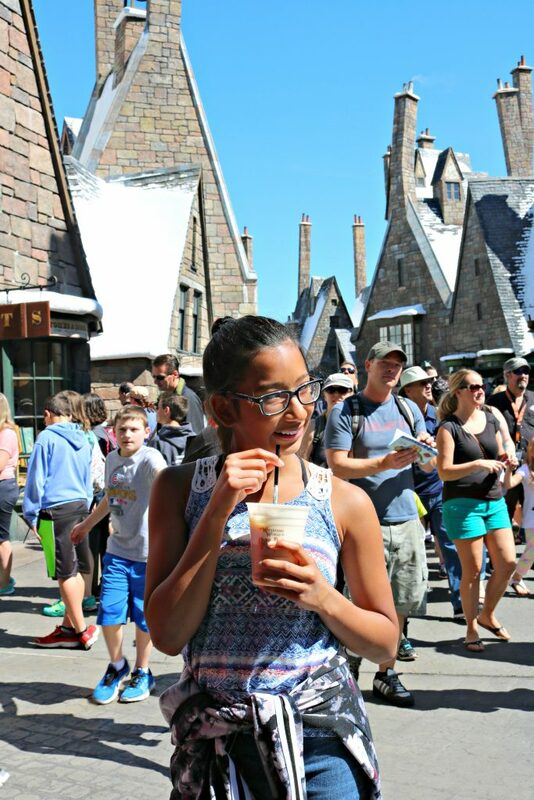 Wizards and Muggles of every age can indulge in scoop and soft-serve ice creams here, with fantastic flavours like Butterbeer, Granny Smith, Earl Grey, and Lavender, Chocolate Chili, Sticky Toffee Pudding, Salted Caramel Blondie, Chocolate and Raspberry, and more. The ice-cream parlour also offers bottled Pumpkin Juice, ciders, teas, and water. Continental breakfast items such as pastries; Battenberg cake, crumble cake, and shortbread is available in the morning hours. 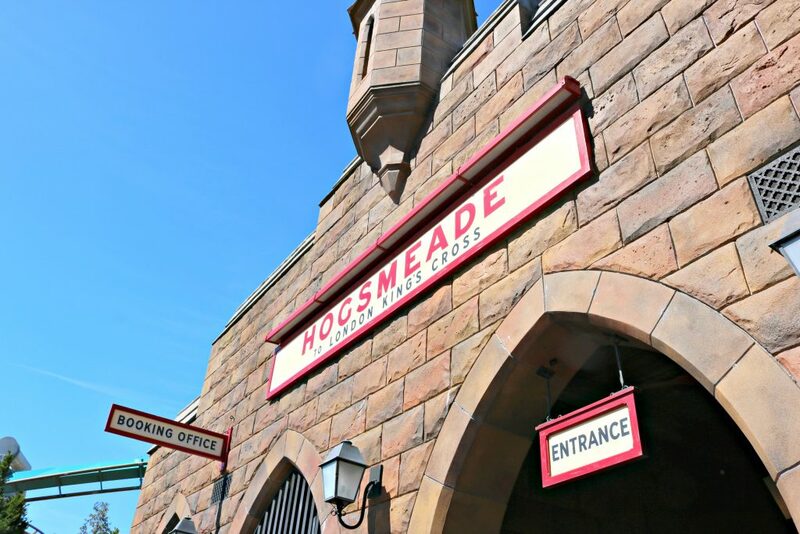 Before you ride the Hogwarts Express from Hogsmeade to London, head to Hogsmeade Station inside Universal’s Islands of Adventure. You’ll need a Park-to-Park admission ticket to board and ride the train. The ride there was a magical experience. 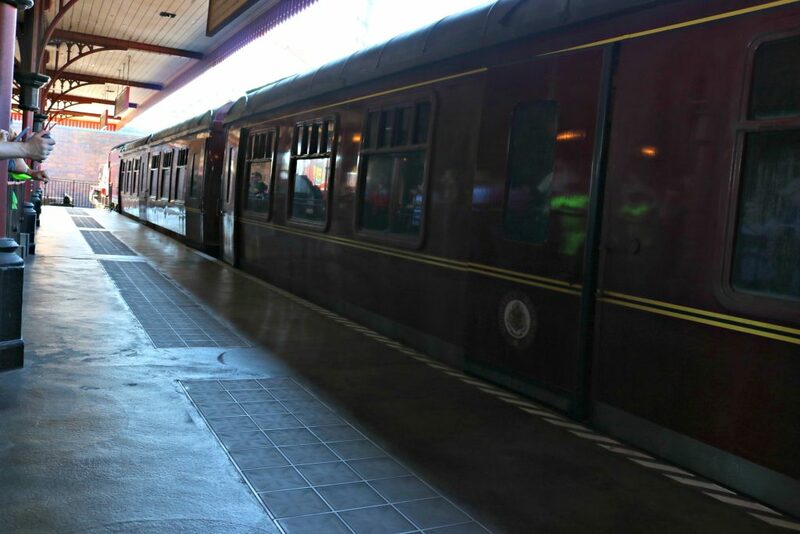 To actually hop aboard the Hogwarts Express and ride on the train is every Potterhead’s dream. Especially when the next stop was Diagon Alley. The ride itself is not too long and not too short but, there is never a dull moment. When you arrive in London, pop around the corner to find the secret entryway into Diagon Alley. The girls wanted to head over to Ollivanders to pick a wand, actually, the better phrase would be to have a wand pick them. Inside Ollivanders’ towering walls, thousands of boxes are revealed and are stacked to the ceiling. Within each box, a wand is waiting to choose its wizard. Purchase your unique wand, wand sets, character wand replicas, or buy an Interactive Wand and cast spells to create amazing magical experiences throughout Diagon Alley and Hogsmeade. There are so many things to see and do in the Wizarding World of Harry Potter. Most importantly, the rides are spectacular and are quite popular. I mentioned using your Express passes while you are in Universal but, just know that it excludes some of these rides. We took advantage of the Express passes for the Flight of the Hippogriff. But, let me tell you, the other Harry Potter rides are worth the wait! 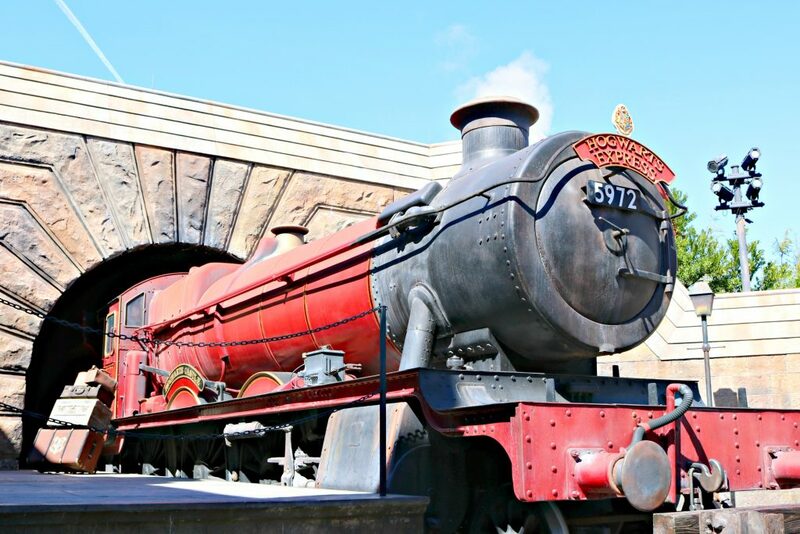 Hogwarts Express: With a Park-to-Park admission ticket you can board the Hogwarts Express at King’s Cross Station in London at Universal Studios Florida and travel to Hogsmeade Station in Universal’s Islands of Adventure™, or the other way around. Additional restrictions apply. 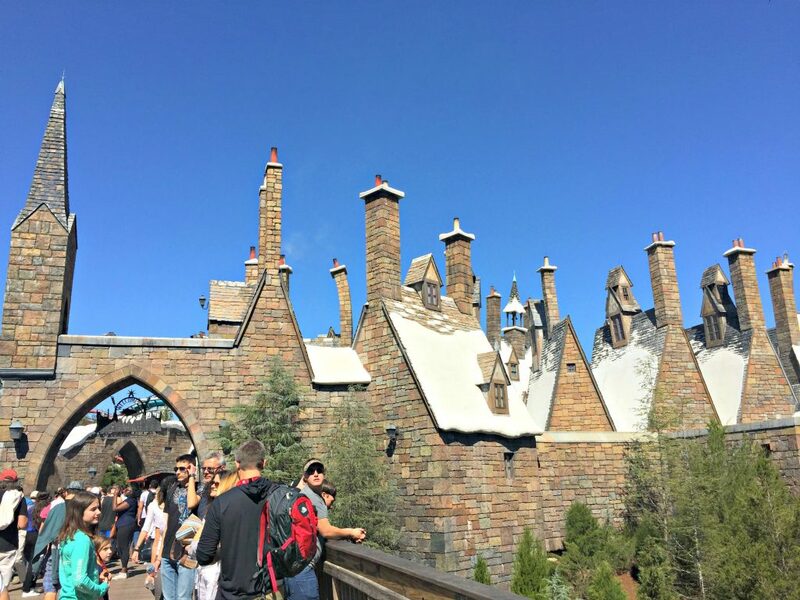 Needless to say, exploring the Wizarding World of Harry Potter is everything you imagined and more. Since we visited other parts of the park, we didn’t spend as much time as we hoped. Mind you, we spent a good time here. Next time, it will be a full-day for sure! For more information about the parks and to get your tickets, visit Universal Studios Orlando! Need a place to stay? Check out our experience at Cabana Bay Beach Resort. 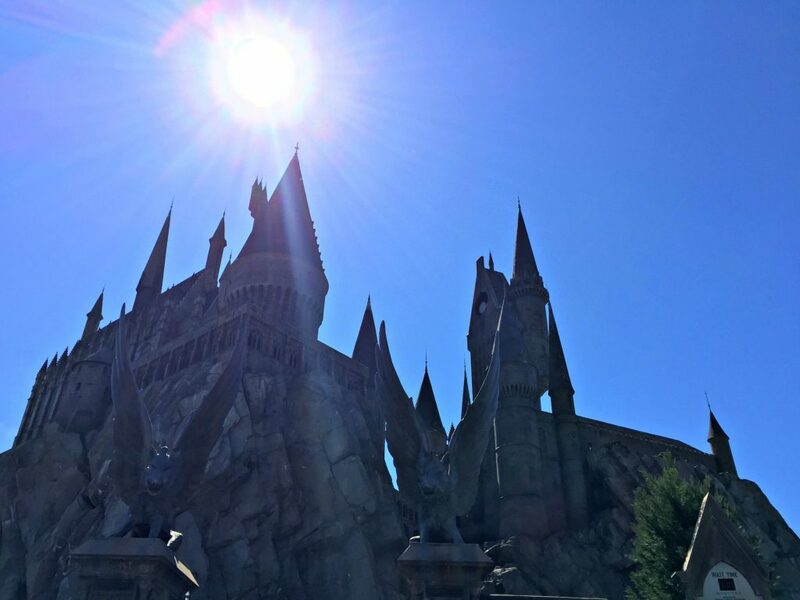 By chance, if you are going to be spending one day at the parks, these Universal Studios first-timer tips will help you to make the most of your visit. Plus, check out all the fun and entertainment at CityWalk. No admission required! If you want the latest updates, check out Universal Studios on Twitter, Facebook and Instagram! The photo’s are amazing,thanks so much my granddaughter is a huge fan i’m going to show her this post on the weekend.It certainly must have been exciting! Best. Attraction. EVER! 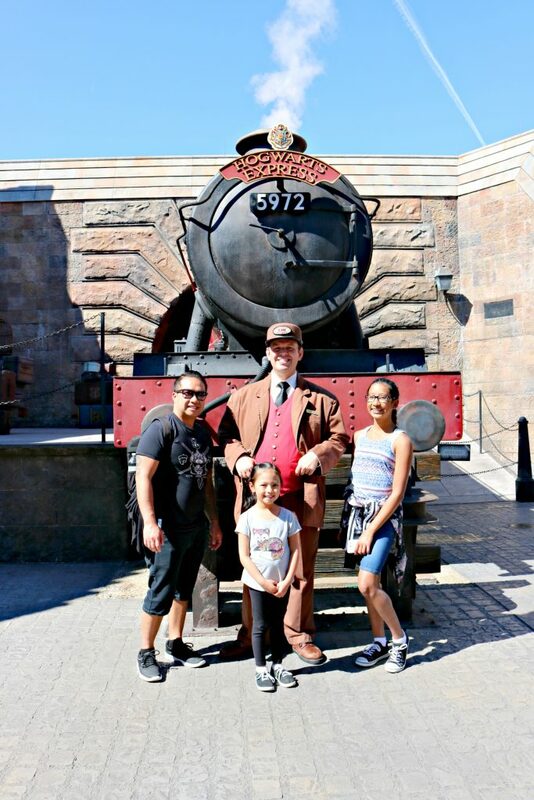 We are all Harry Potter Nerds in my family, so we had so much fun when we went. We seriously could have just lived there. What FUN! I have had Butterbeer Tea but I would love to try this drink! Sounds delicious! I also have not seen all the Harry Potter movies! Time for a marathon weekend! Yes! Watch them all before you come. We went a couple years ago when my kids were senior and junior in high school. We had the best time of our lives. This is an amazing place!!! Great post about Harry Potter! I would recommend this to a few of my friends who are Harry fans! Sounds like a perfect time to go. Have fun! The Wizarding World of Harry Potter is so much fun! From the pictures, it looks like y’all had a fun time as well! So much fun. The girls were over the moon. I love everything Harry Potter and would absolutely LOVE to go to the Wizarding World of Harry Potter at Universal. I can’t wait to try a butter beer and try my hand at wand work! Awwww I miss Universal Studios! Those photos are pretty amazing! I’m also a huge fan of Harry Potter and I’ve never been there! I want to see the world of Harry Potter soon. Why thank-you, they were fun to snap! It is amazing, you will love it. It looks like you guys had so much fun. I’d definitely want to visit the Wizarding World of Harry Potter, it looks amazing. I have always wanted to go to the world of Harry Potter. Now that I had back surgery, I can’t ride the roller coasters now. 🙁 But my boys would love it. There is so much to do there, hope you will enjoy it too. I can’t wait to head to Universal and Disneyland when my daughter turns 5. I’ll be stopping by the wizarding world of harry potter for sure!! We are heading there this summer. It will be my boys first time and I am SO excited to take them. OMG, that is exciting. Have fun! That place is so cool! I am a Harry Potter fan and so is my teen son. We’ll make sure to check that place out if we visit Universal Studious in Orlando. That is great, I hope you make it down. 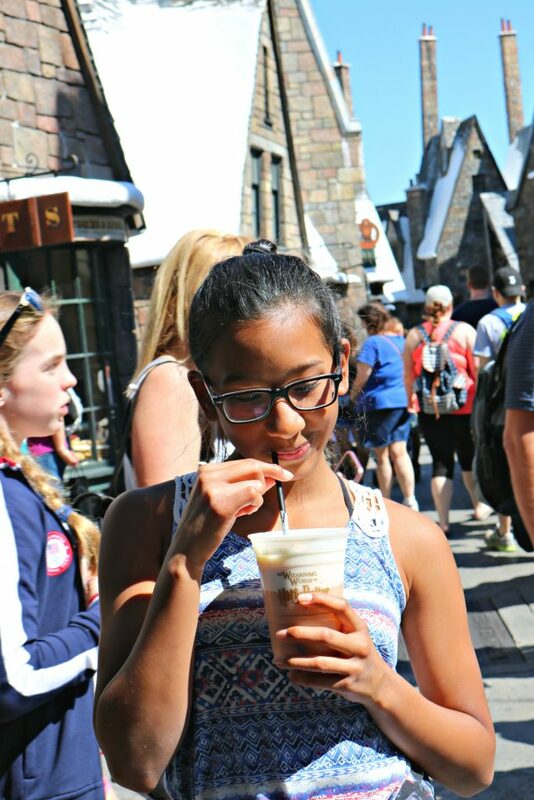 So what does Butter Beer taste like? I really need to check this place out. It is hard to describe but, it is DELICIOUS. awww, I’m jealous! I would love to visit there someday. Looks like you guys had a blast. Thanks for sharing! Nothing can compare the priceless pleasure you feel when you’re right in the place of Harry Potter. Hope everyone can visit the place, it was magical! I really wish we had made a Universal trip before we moved from FL. I’ve been dreaming of a vacation just to get back to what used to be in our backyard, haha. We’re not the biggest Harry Potter fans, but I still want to check this out. There is much more to do than Harry Potter though, so you will have fun. Harry Potter is my favorite character. Reading this post is a lot of fun. Looks like it was a lot of fun. Awesome, enjoy it when you get there mdere! I have been a great fan of Harry Potter’s movies. Pretty excited to discover everything. I want to go to Universal Studios sooooo bad!! I am such a huge Harry Potter fan!! Then you totally have to go! It’s a dream come true for every Harry Potter fan to be able to go here and just experience the Wizarding World! I’m sure it’s worth the trip! My son is also a huge fan of Harry Potter, he always wanting to go there. He would love this photos for sure. My girls are huge fans so they were stoked! This is on our bucket list for this summer. We’ve heard great things about Universal and your post just solidifies it. Looks like you guys had a blast. It was SOOO fun. You will love it! Hehe, they will love it! My kids have been begging to visit! It looks fun for both kids and adults! It definitely is for both ages groups. Oh these pictures are so fun!! I love Universal, but I haven’t been to this exhibit/area of it! Looks so fun! I am not really a Harry Potter fan but this seems like an awesome place for kids to visit. Fantastic pics! That is why there are two parks! Plenty to see for everyone.